We remodeled our lake house 5 years ago and I wanted to update the house since we have been living in it for a little while and since we really didn’t have the money to decorate it as I would have liked to. 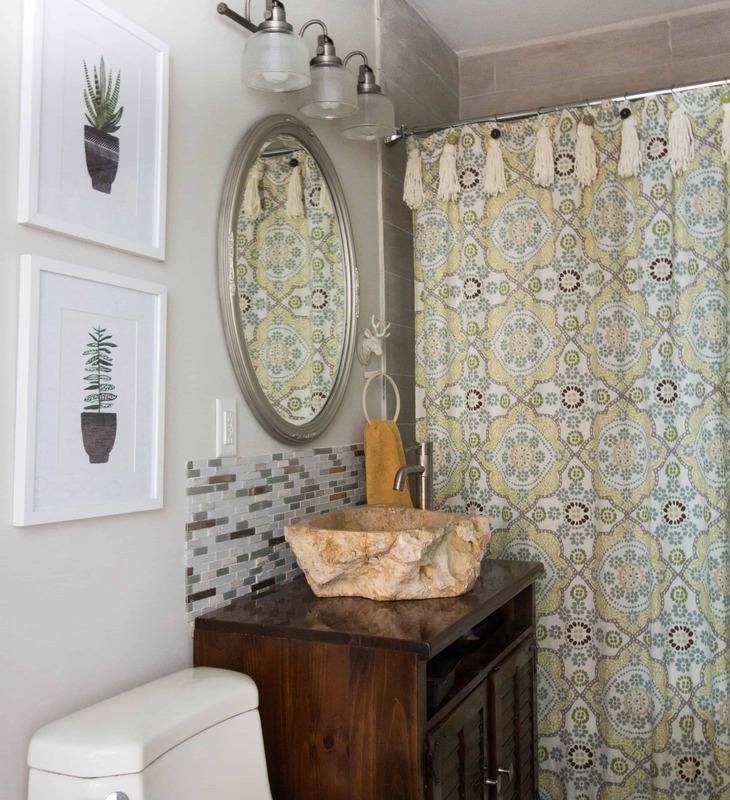 I wanted to add a little bohemian look to the lake house but I wanted to do it on a small budget. 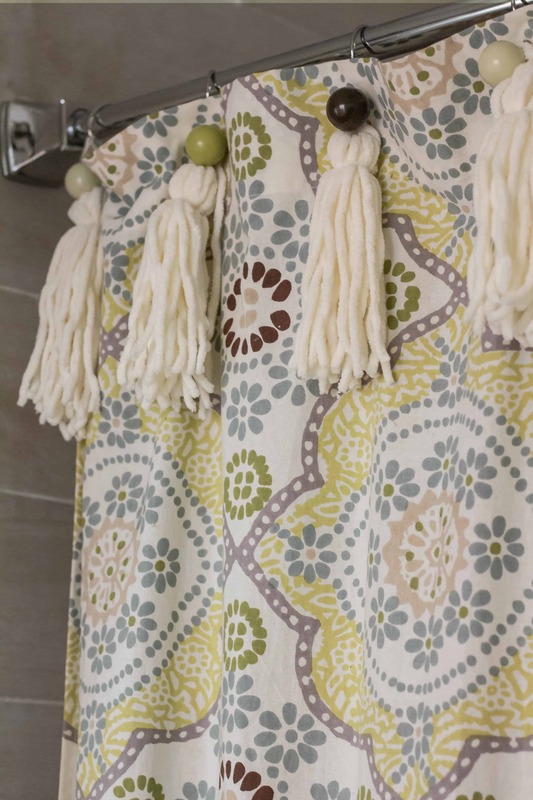 I love my shower curtain that came from World Market so I added these easy DIY shower curtain tassels to the existing shower curtain and I love the way it looks. 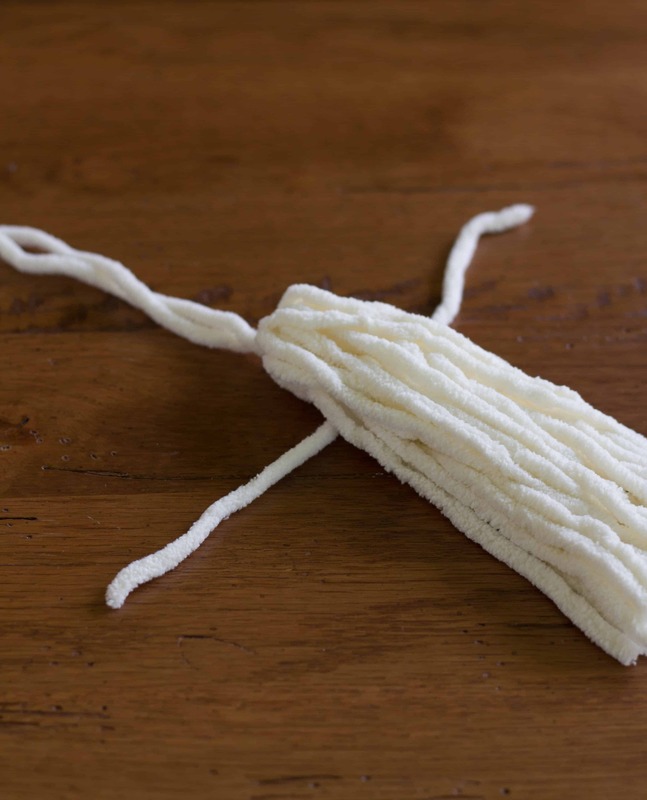 These tassels can be made for just a few dollars because the only cost was the cost of the yarn. After I made the tassels, I just tied them to the existing shower hooks. 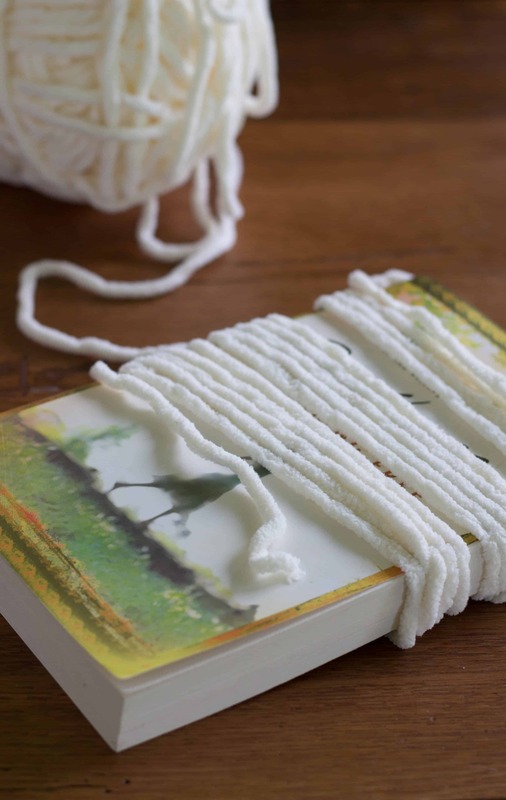 You can tie the yarn around any object you choose. 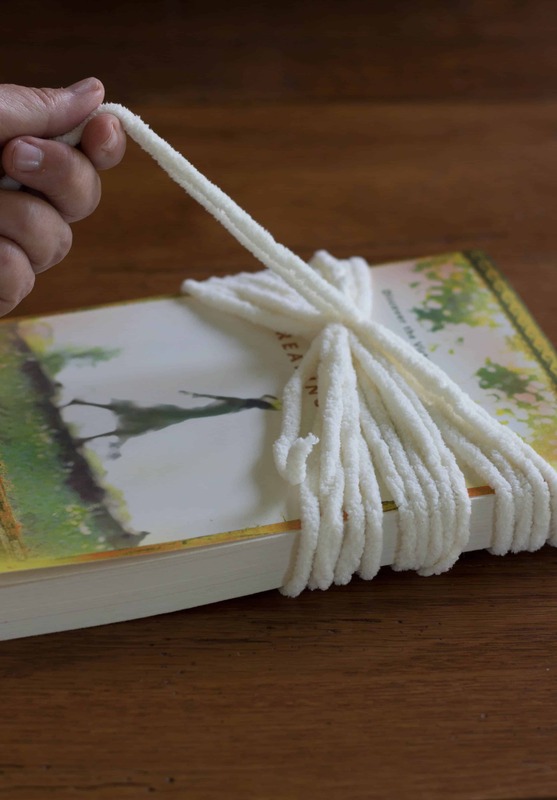 I wanted large tassels so I tied the yarn around a book. 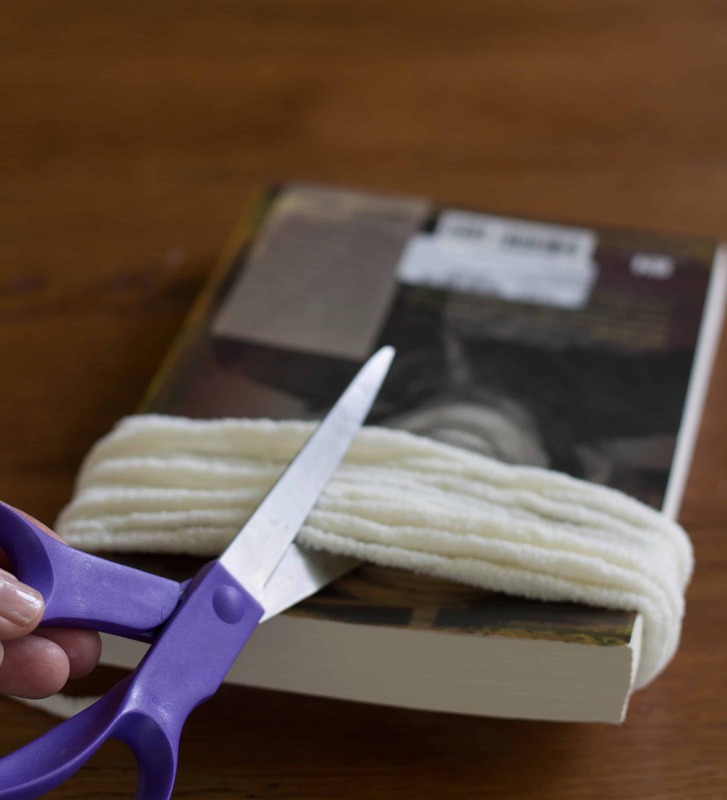 Cut off a separate piece of yarn and tie it around all your threads of yarn. One the opposite side of your tied piece, cut all of the threads. Tie another piece of yarn around all of the threads to complete the tassel. 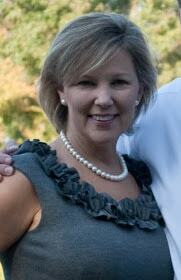 Trim the loose ends and you are done! 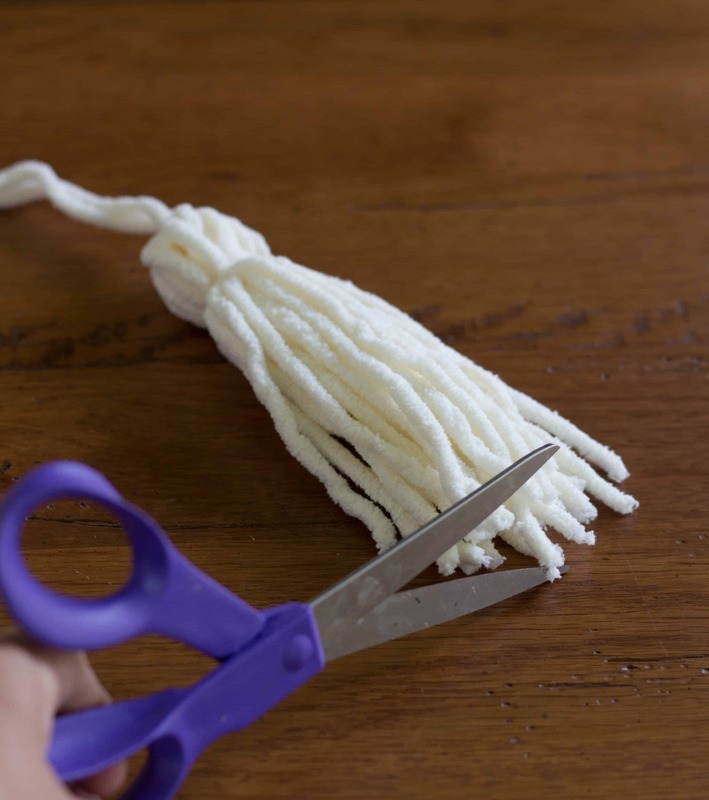 This DIY Shower Curtain Tassel project is a super easy and super cheap way to update your bathroom without having to purchase a new shower curtain!